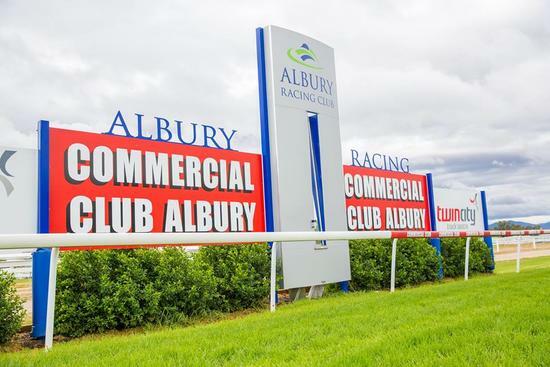 Craig Widdison will supply runners to Albury on Thursday January (4) with fine conditions forecast racing on a current good 4 with seven events to be run. The first of the stable runners will see Pretty Pine compete in a maiden plate over a mile with the four-year-old mare to be partnered by Nick Souquet jumping from barrier one. Last time out Pretty Pine finished 8 of 12/1660 at Wangaratta when competing in a maiden at that venue, running on reasonably well from back in the field & will likely settle back again and should be an improver. Race 3 will see Lord Laurie carry top weight at 59 kg with Chelsea McFarland aboard the last start winner when competing over 1175 m of class 2 value. Last time out Lord Laurie finished first of 11/1175 m at Albury in a class one and won't be far away in the running and looks a chance of going back to back from a good draw. Eight-year-old gelding Canover will compete in the BM57 handicap over 1175 m with Simon Miller aboard the runner jumping from barrier three. Last time out canover finished 7 of 11/1400 m at Albury, & has placed two run from nine starts this preparation, returning to a shorter trip, he should be forward in the running and any return to recent Cranbourne form should see him competitive in this. The final stable runner will see Razzle Dazzle Rock compete with Brian Murphy aboard the seven-year-old gelding jumping from barrier 2 in a BM 74 handicap over 1400m. Last time out Razzle Dazzle Rock finished 10 of 12/1175 m in a BM 60 at Albury, he has not been in the greatest form since resuming this preparation but should be fitter for recent outings and won’t be far away in the run, he drops 8 kg from the last effort and has drawn to get some favors. Best of luck to all connected at Albury on Thursday.